someone asked can your eyes freeze-I always thought naw,can't happen..then the weatherman said "yes"
Honestly, while walking to the bus stop this morning (at -43C weather), because I'm so tired, I always yawn and never feel it when my tear falls down my cheek because my whole face is numb. This has happened so often now and I always get on the bus with frozen tear streaks. I don't find it crazy at all to find out that our eyeballs can freeze, and with the weather lately, anything's possible. 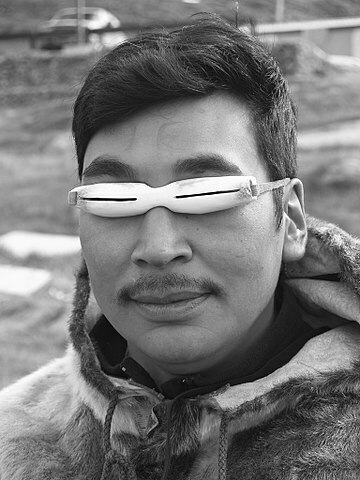 I bet that's part of why the Inuit use snow goggles! I watched a short documentary the other day (YouTube recommendation) about a small group of people who live in the "coolest place on Earth" and they don't even have a bathroom in their homes because everything freezes almost immediately so they have a public single restroom that all the villagers use and they can't be outside longer than a couple of minutes before they become an ice cube.